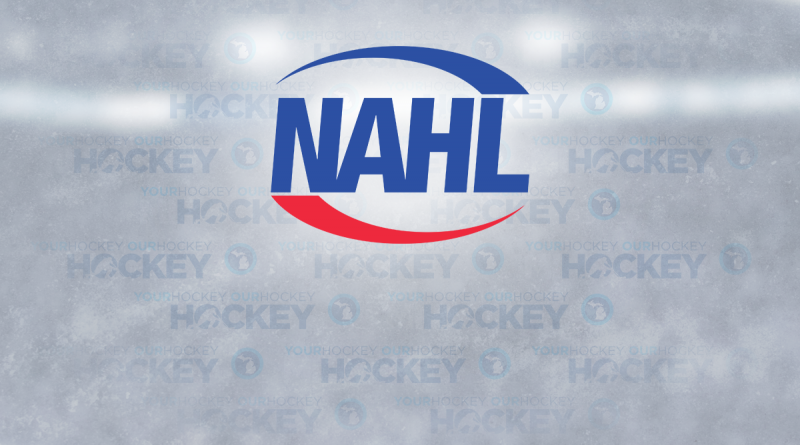 The NAHL has announced its first batch of monthly award winners, and two Michigan names received some recognition. River Rouge native Jason Brancheau was named the league’s forward of the month for September, while Sterling Heights native Brenden Datema earned defenseman of the month honors. Brancheau, a Ferris State commit, led the NAHL in scoring in September en route to the Bauer NAHL Forward of the Month selection. The Wyandotte and Belle Tire product logged 13 points in seven games, helping his Amarillo Bulls to a 6-1-0 record in the process. Datema found similar success skating alongside Brancheau down in Texas. The Bulls blue liner led the league in scoring by a defenseman, racking up 11 points in seven games. A Honeybaked, Victory Honda and Belle Tire alum, Datema has already surpassed last season’s points total.